My complicated love/hate relationship with bags goes way back. Love; because they are just such awesome arm candies and have the ability to complete any outfit. where I can shop for all the brands I like (either that, or I’ll have to pay a hefty shipping fee). it is also a place where you can find great gifts for your friends and family. and how they have something for everyone! iMyBags.com.sg is slightly over 3 years old and is one of the leaders in online bags sales in Asia. As a Singapore-based company, you can set your mind at ease as you explore the website in search of your dream bag. but also the best deals for computer, pet, music, sports, travel and business bags. Singapore and Malaysia, and Alchemy Goods for Malaysia! that I find absolutely irresistible! Earn iDollar for every purchase you make and collection Experience Points (XP) for bigger benefits. iDollar is actually “virtual cash” you can use to buy your next bag on iMyBags.com.sg. Isn’t it amazing? 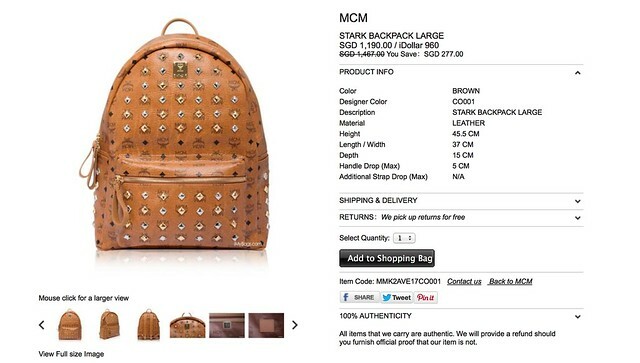 For instance, if you purchase the MCM Large Stark Backpack, you instantly receive 990 iDollar. Now if you can do some math, you can roughly estimate what is the actual amount you’re paying for the bag? Once you register as a member, will have a “Socialite” status. There is a total of 6 statuses – Socialite, Trendy, Stylist, Vogue, Star, Fashionista. With every status, you get different privileges. For instance, someone of Trendy status will receive 5% discount (in iDollar equivalent) for every online purchase. you purchase a bag from them on your birthday month! The privileges goes on and on, and you can read more about the different statuses over here. without something for myself right? and suitable for everyday casual use. I got myself something from Michael Kors. I love the size and colour of this bag and it’s great for day-to-day use! Service was really good, delivery was free, packaging was immaculate and after sales service was awesome as well. has no defects and are all purchased directly from source, I know I can put my heart at ease. But if your products has any defects, iMyBags.com.sg provides money-back guarantee as well. NOW, I need to start planning for my next purchase with the iDollars I’ve accumulated. 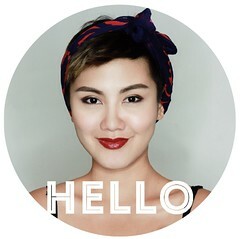 To find out more, visit iMyBags.com.sg here or check them out on Facebook, Twitter or Instagram.